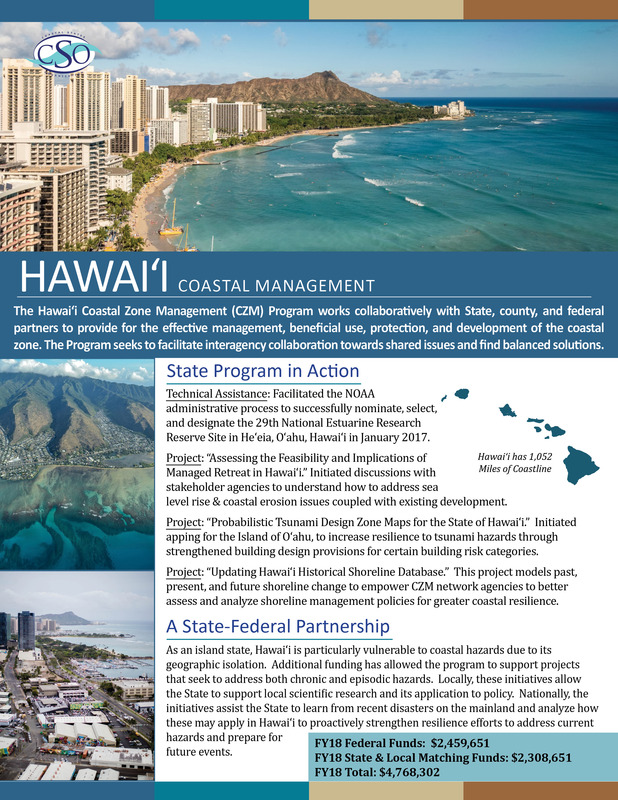 In 2018, 10 of the 34 participating states and territories celebrated their 40th anniversary of joining the National Coastal Zone Management (CZM) Program. 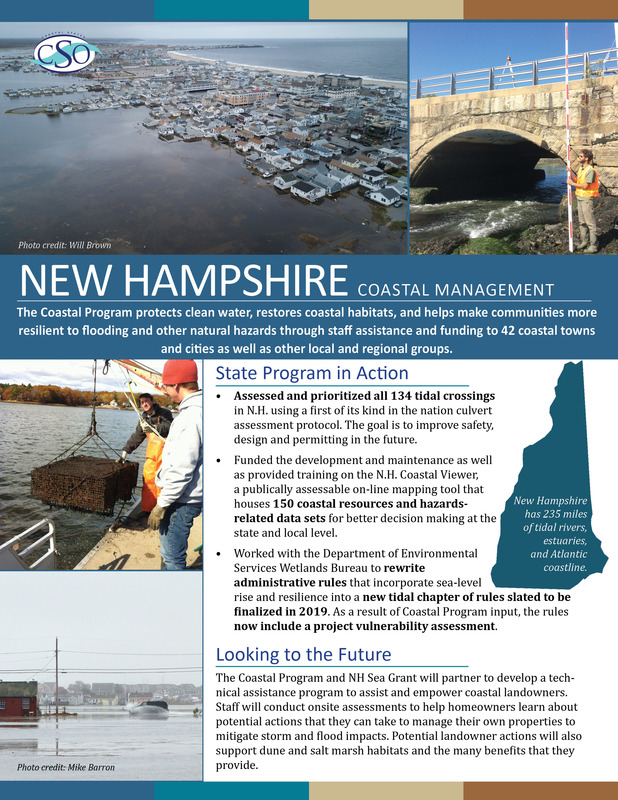 While the challenges faced by each state program are as different as the coastlines they manage, the lesson we can learn from the work they have done in the last 40 years is singular. 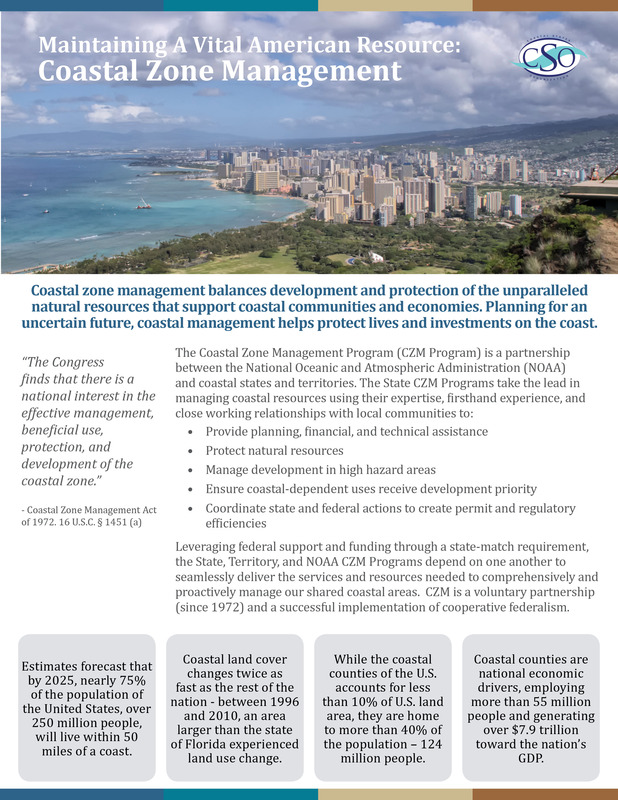 CZM Programs, which operate at the nexus of federal, state, and local government, are essential to the sustainable management of our Nation’s coasts. 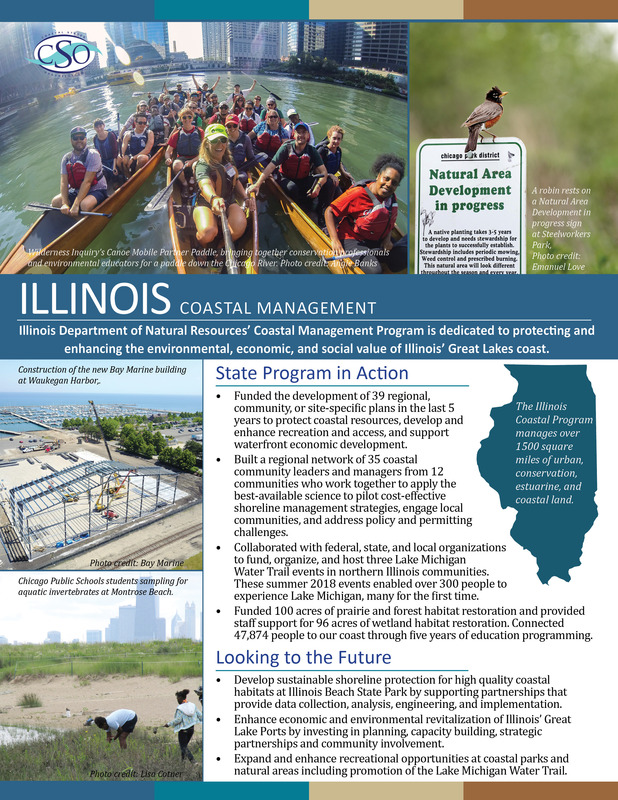 To create this poster, we interviewed 7 of the 10 coastal programs that celebrated their 40th anniversary in 2018. These are their stories. 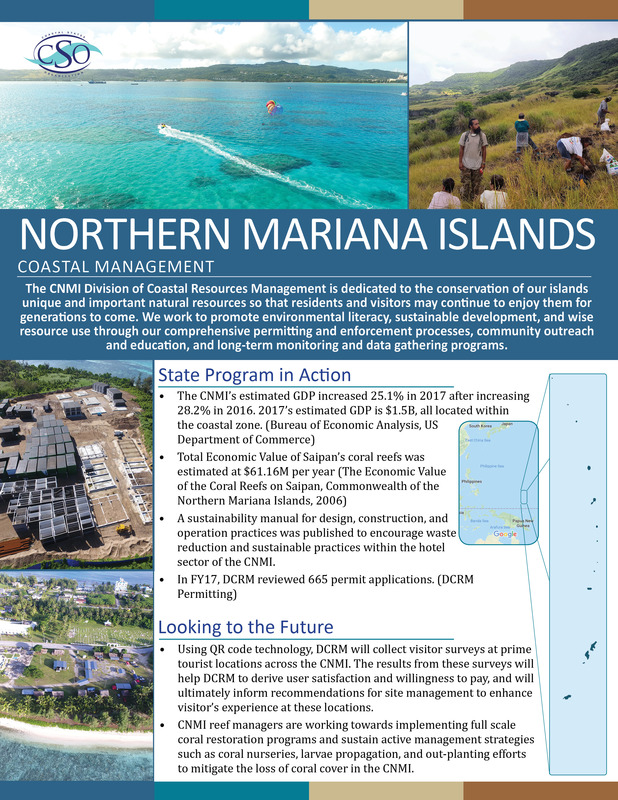 The Blue Economy depends on the vibrant workforce, thriving industry, advanced infrastructure, and unparalleled natural resources of the nation’s coastal zone. 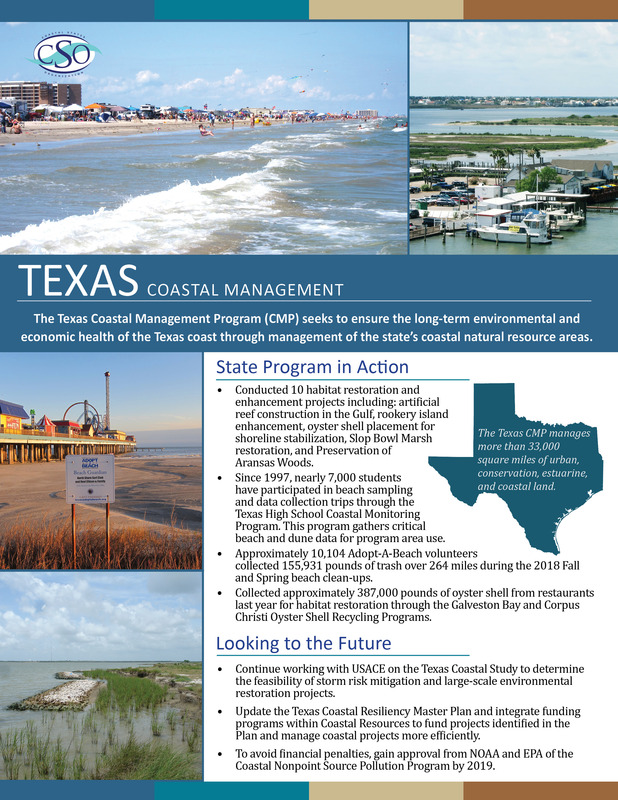 Across the nation, the challenges confronting coastal communities are vast and complicated. 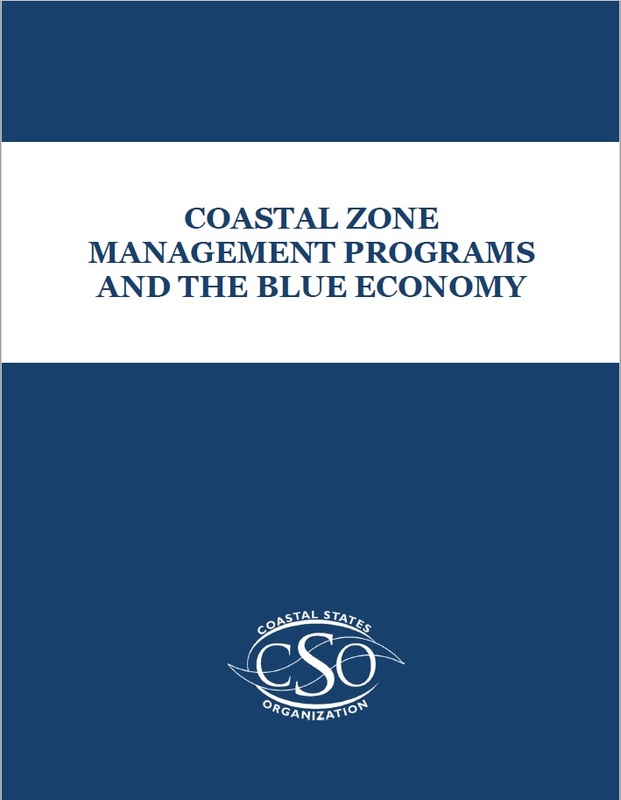 To ensure our coastal zones continue to enrich and sustain the Blue Economy, robust, adaptive, and efficient coastal management is necessary. 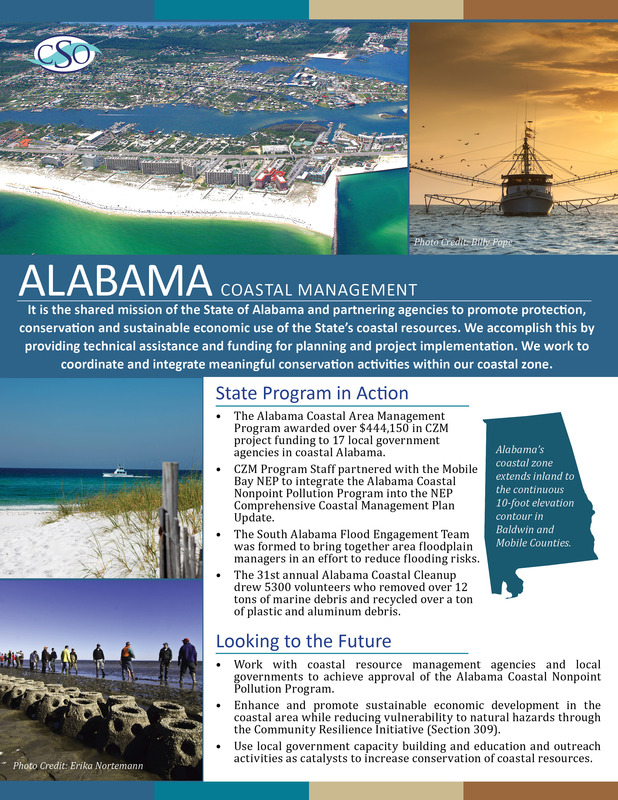 An exemplary state-federal partnership since 1972, the Coastal Zone Management Program (CZM Program) provides the effective management, beneficial use, protection, and development that the coastal zone needs. 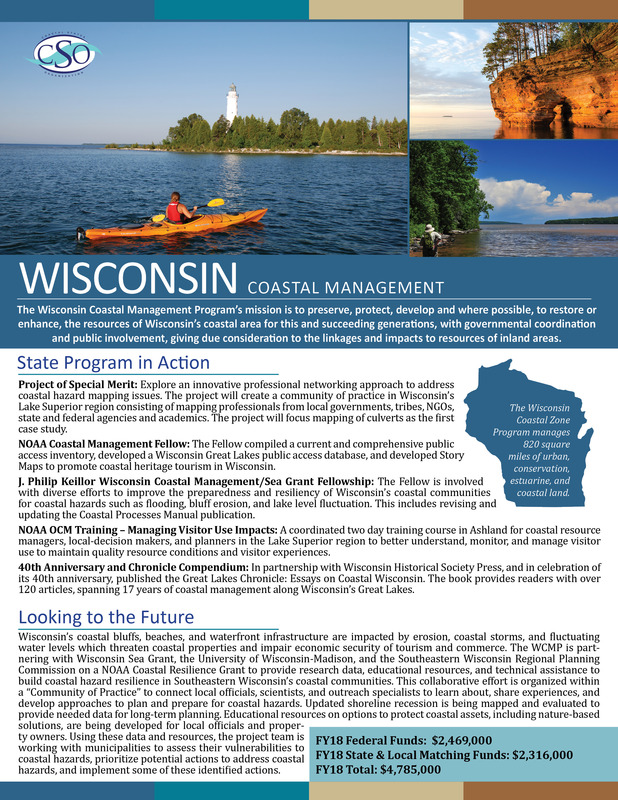 States and Territories take the lead to manage coastal resources using their expertise and firsthand experience working on local issues, and the National Oceanic and Atmospheric Administration (NOAA) provides guidance, funding, and program support. 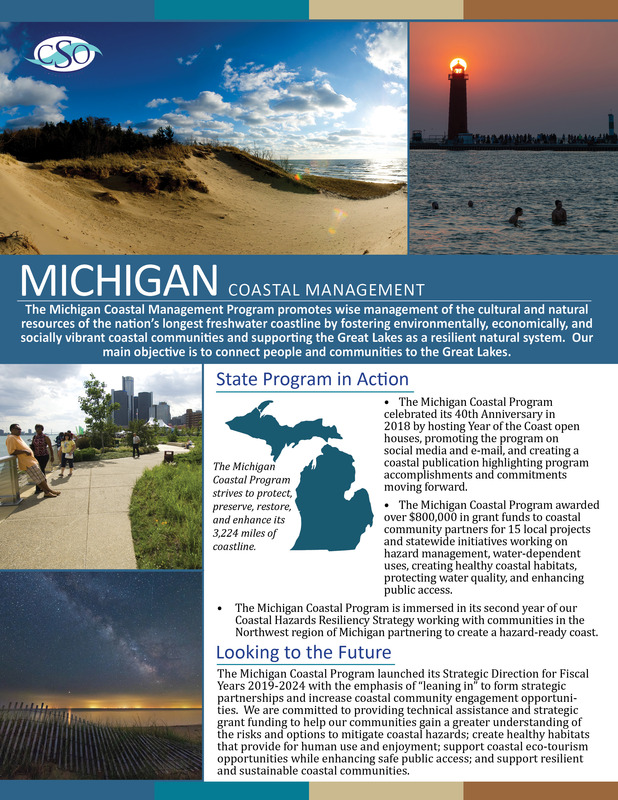 For more than 40 years, coastal programs in U.S. states, territories and commonwealths have been part of the national coastal zone management effort coordinated by the National Oceanic and Atmospheric Administration (NOAA) to protect and restore coastal resources, protect communities from coastal hazards, and promote economic development along our nation’s ocean and Great Lakes coasts. 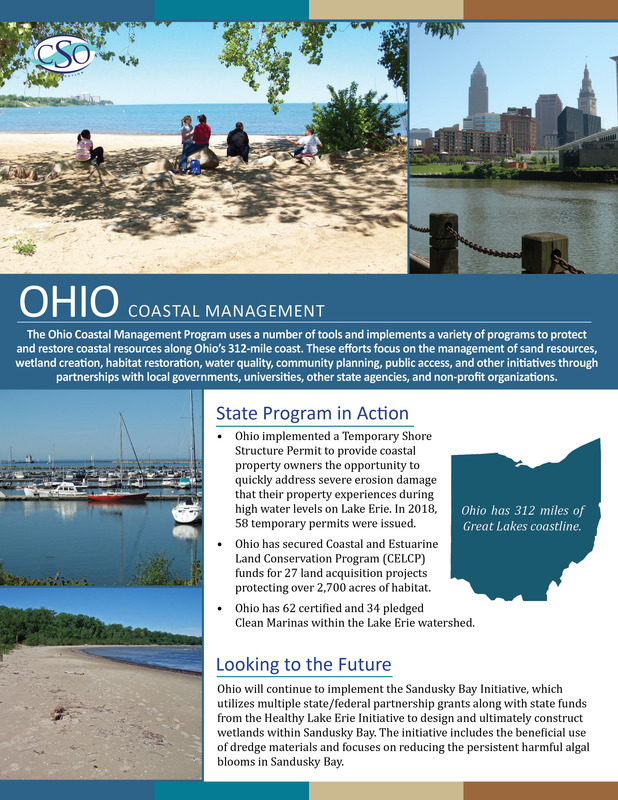 Millions of Americans work, play, and live along our nation’s beautiful shorelines. 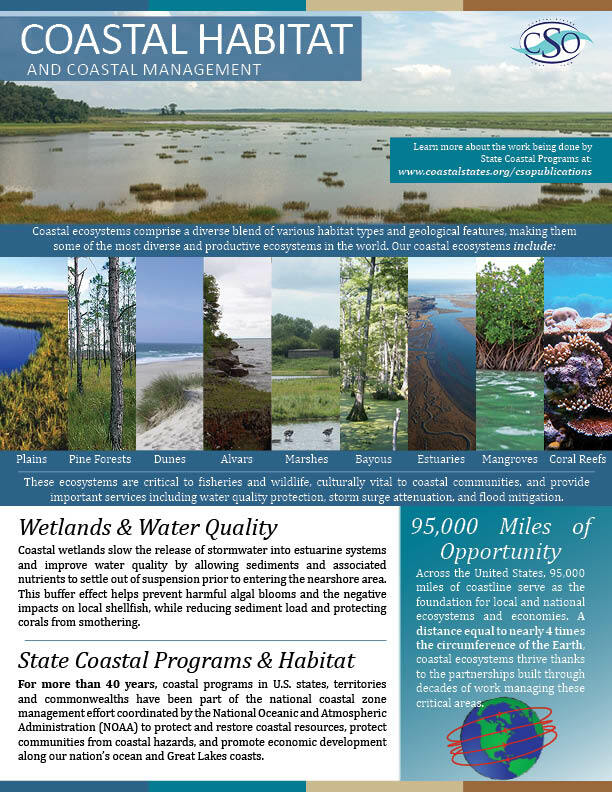 But life on the coast can be frequently disrupted by severe storms, earthquakes, chronic flooding, fluctuating water levels, and erosion. 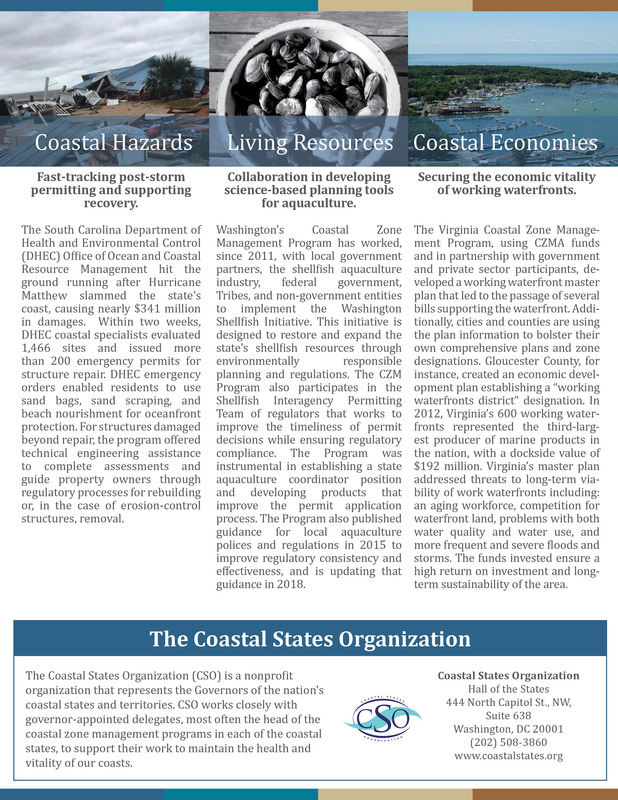 These hazards cause major economic harm to businesses, natural areas, and public infrastructure. America is searching for better ways to protect coasts, but there is no “one size fits all” solution. 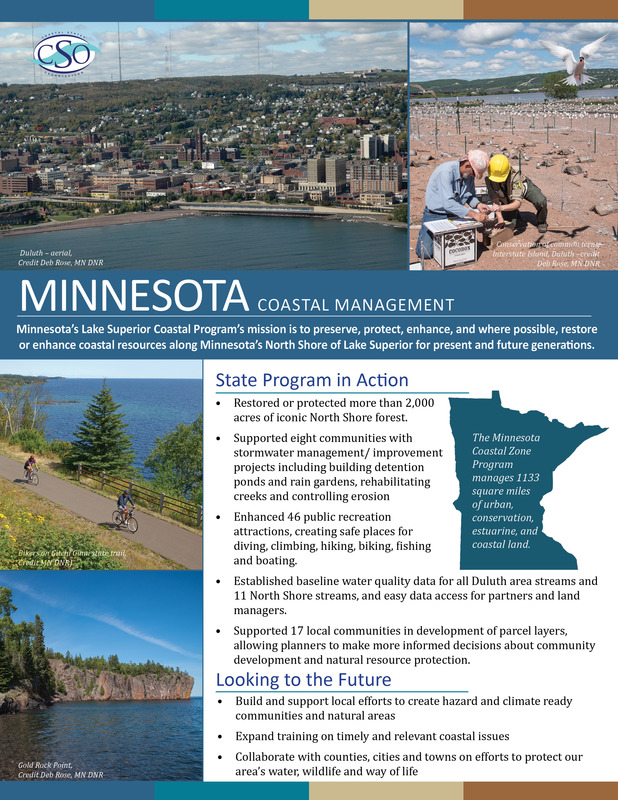 Each coastal community has its own physical, social, legal, and political characteristics, so solutions need to be tailored to their unique conditions. 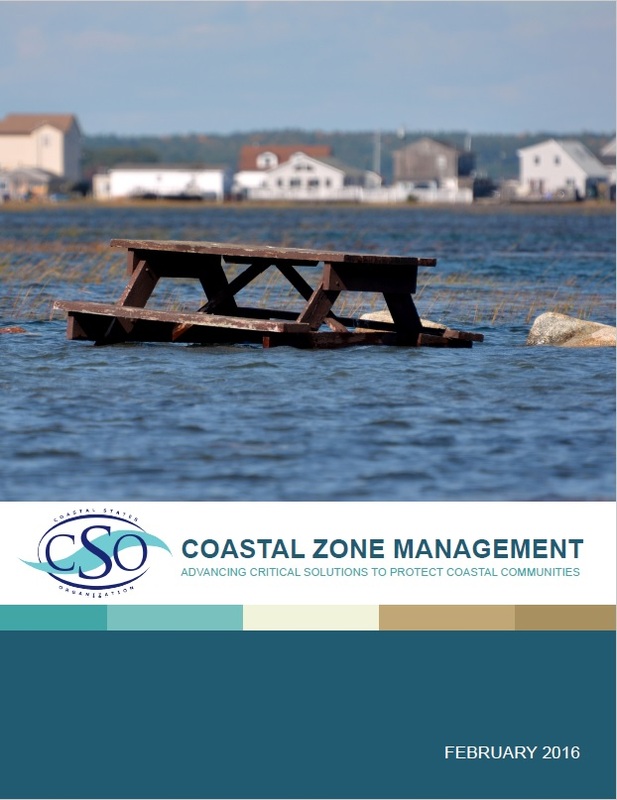 The state coastal management programs established under the proven and successful Coastal Zone Management Act (CZMA) help communities address their coastal threats. 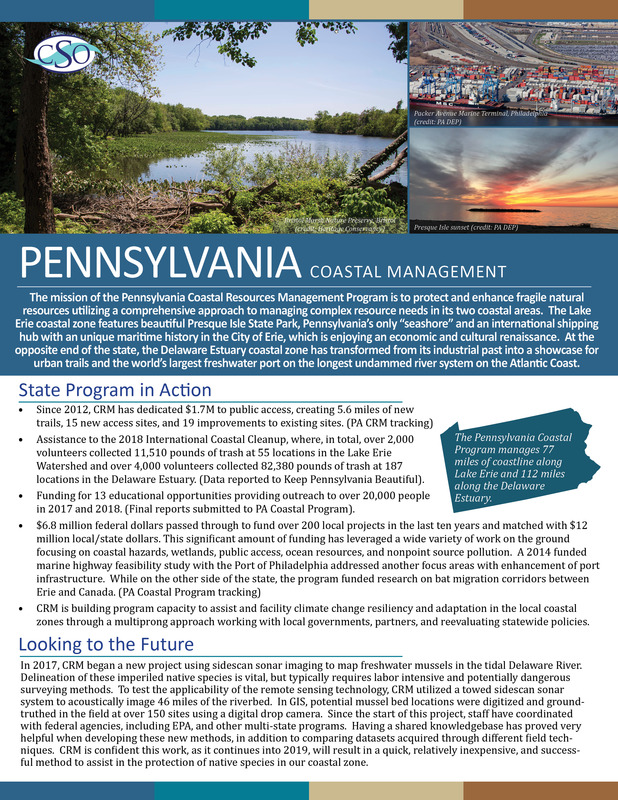 This report illustrates the CZMA’s successful approach with 14 stories from communities across the country. 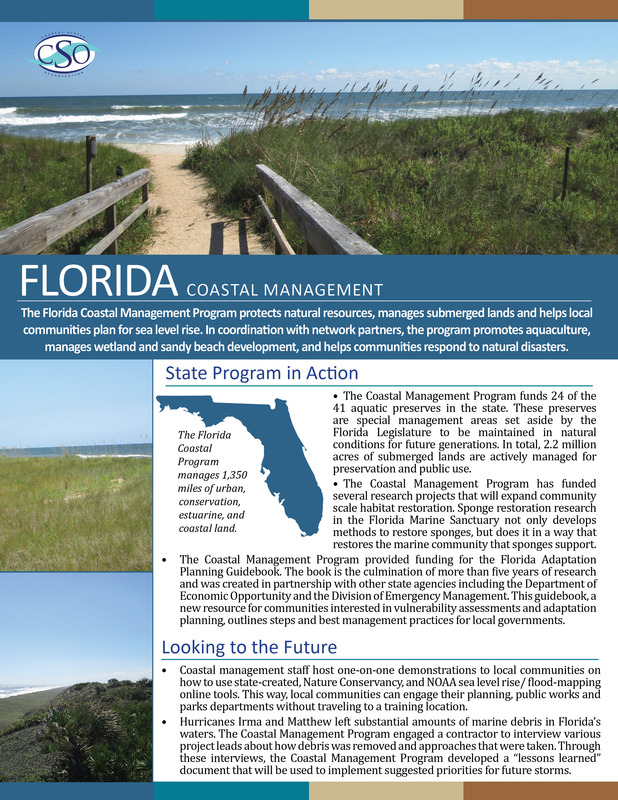 Strong statewide coastal management creates resilient shorelines. The CZMA generates that strength. Thus, greater investment in this program will have national benefits. 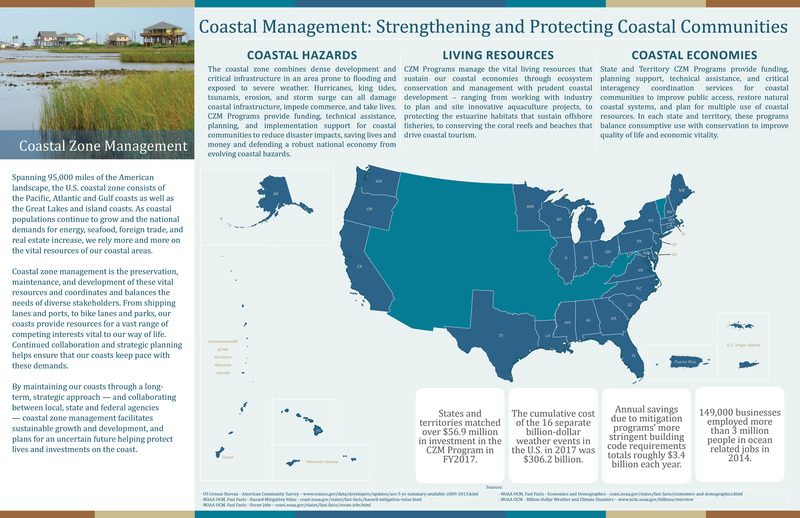 The CZMA must be central to America’s strategy for protecting coastal communities.